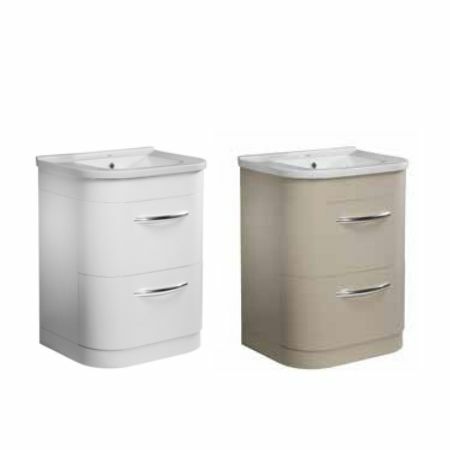 Desire wash basin units feature complementary bow handles and soft close drawers. The wall mounted unit also benefits from adjustable wall hangers for perfect alignment. The D-shaped ceramic basin has been specifically designed to complement the curves of the wash basin units. Useful deep drawers incorporate storage compartments, allowing you to separate your most frequently used items to the front for easy access.